Funami FM is a radio station in Grand Theft Auto 2. 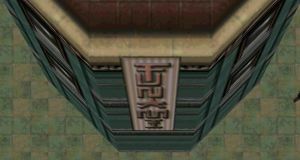 The station is the favourite of the Yakuza gang and can only be heard in the Downtown District of Anywhere City. The station is hosted by an unnamed Japanese man and a Japanese woman, who frantically screams in a varied high-pitch voice, calling herself Teriyaki-chan. The station plays drum and bass type electronic music. This page was last modified on 17 October 2012, at 07:05.